We are about to write in class. 15 minutes of free write await. I have a prompt from the amazing The Creativity Project, I am ready with my own pencil, my notebook, the document camera. And yet…the hesitation from students is almost palpable. So many of them already feeling defeated. Feeling like this will be hard. Asking if they can read instead of write. Despite all of their years of great teaching, of great moments with writing, so many of our kids still feel like writing is something they will never like, nor is it something they will ever master. On our wall hangs our writing rights poster, the rights we created as a writing community at the beginning of the year. The rights that surround us as we play with writing, as we develop our writing voice. And yet, something is woefully missing from it. So I add it quickly. And I tell my students this…writing doesn’t have to be great. Writing doesn’t even have to be good. You have the right to write bad stories, to write poems that you never want to share. To write a few sentences that are so cringy that you can’t believe you came up with them. You have the right to start, to stop, to think, to write whatever pops into your mind. Not because it is any good but because you are simply writing. And then I share the beginning of a story I wrote that morning with my first-hour class. A story that I knew was terrible as I wrote it, filled with cliches, overused plot points and weird sentences, but U was tired and distracted and so that was all I could think of. I read it aloud, laughing as I go. At first, I can see the skeptical looks – this isn’t that bad, Mrs. Ripp – but when they get to the genie in the bottle part, they are laughing too. As I finish, I shut my notebook and declare that I will never continue that story but at least I wrote. “My book took me a year to write..” I answer honestly because it’s true, my books take a long time because I wrote a lot of stuff that never gets published. We turn back to the prompt. I remind them to sink into their writing, to simply write something, using the prompt or not, and off they go. Every single child writing something. Every child trying. Not because they are all trying to write something powerful but because they are reminded once again that writing doesn’t always have to be everything we love about writing. Something you just have to write badly and be okay with that. 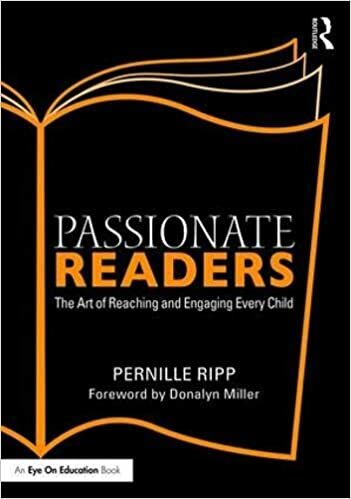 If you like what you read here, consider reading my book, Passionate Readers – The Art of Reaching and Engaging Every Child. This book focuses on the five keys we can implement into any reading community to strengthen student reading experiences, even within the 45 minute English block. 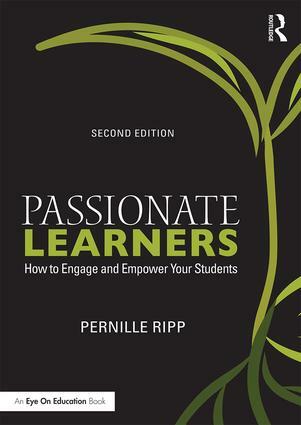 If you are looking for solutions and ideas for how to re-engage all of your students consider reading my very first book Passionate Learners – How to Engage and Empower Your Students. Also, if you are wondering where I will be in the coming year or would like to have me speak, please see this page. Thank you so much! What a wonderful reminder for me and other adult writers, Pernille. I almost want to be teaching again so I could implement your attitude towards my students’ writing…although I was a kindergarten teacher, so there wasn’t much writing going on, especially back in the old days. But I have an afternoon of writing ahead of me…a picture book story that has been alluding me for several days…so I think I will just sit down and write and not worry about how it sounds just yet. I think this is great! So many of my students are also hesitant to write but they’re often amazing at it once they let themselves have a go and give themselves permission to just write whatever comes to mind. Thank you so much for the ideas and sharing. I have a class of hesitant writers that say the same thing – can we just read? I reply, yes -each others writing when you are done – if you wish to share. I will share my silly writing first – thanks for the great idea! !